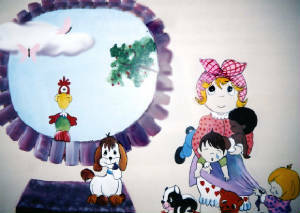 If you like this cute character - there are a selection of ideas in the " Humble Spirit" Coloring book. 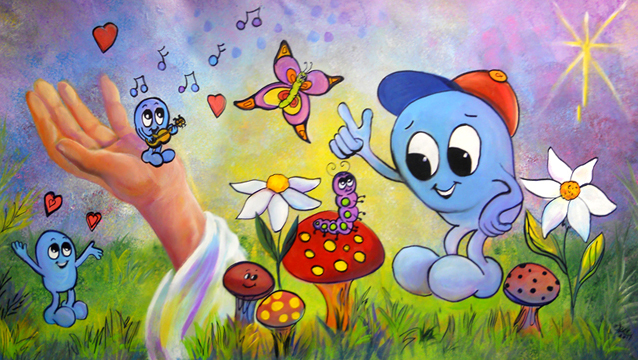 "Humy" teaches lessons through his depictions. 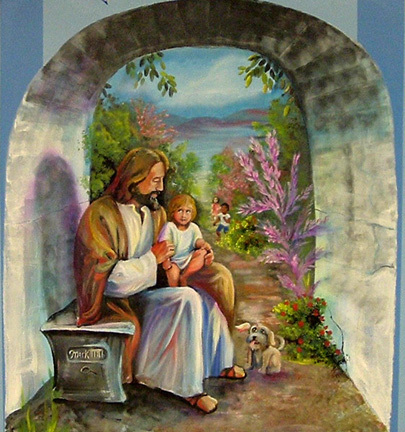 He is my Copy-Right Character, but I will paint him into a mural for your nursery or school room. 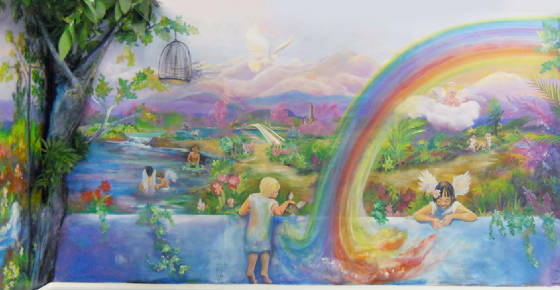 First Assembly of God - Ontario OR. 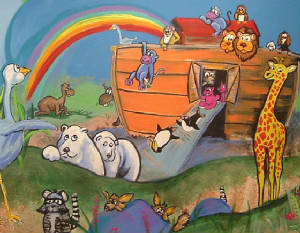 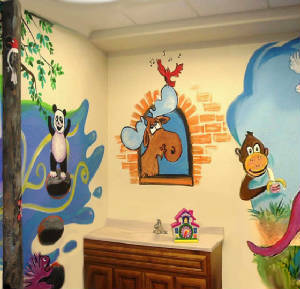 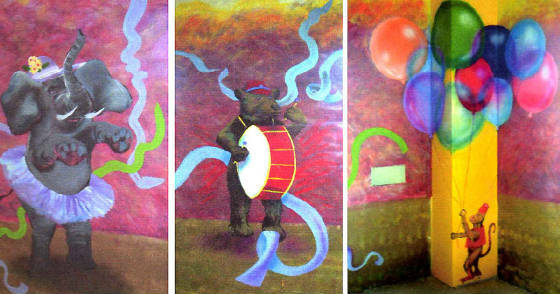 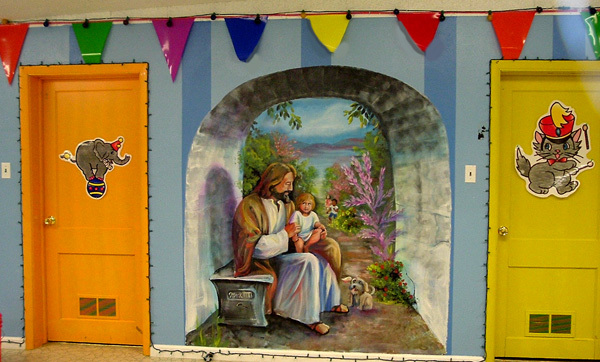 Children's Murals are a delight to paint! 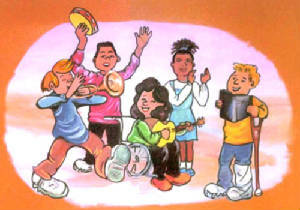 I love the playfulness, cute characters and bright colors! 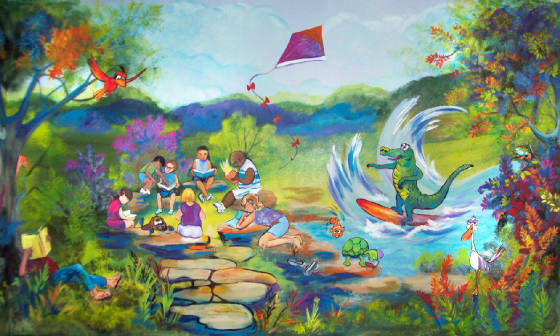 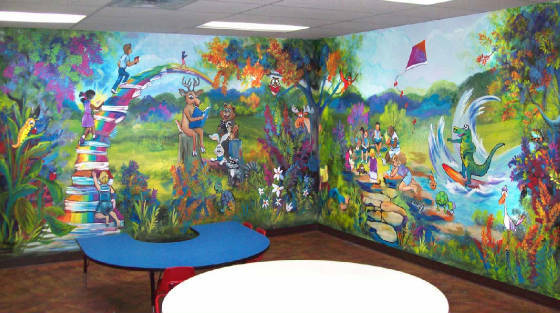 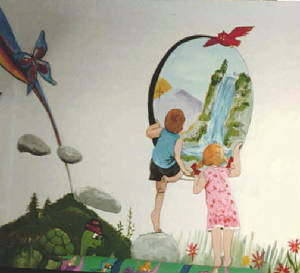 Combine your ideas, using children's story & coloring books, or any depiction that captures the idea you are trying to portray in your own, personalized custom mural!